A year or two ago, after I applied for two pets UFA (up for adoption), I couldn’t understand why I wasn’t being chosen as the new owner for either of them. I couldn’t understand why this was. What was I doing wrong? What did it really take to be chosen to adopt a pet as special as the one you’re applying for. Now, if you’re reading this, (which you clearly are), you’re probably thinking “Yeah, that has happened to me. X times actually! I’m glad it’s not just me!” or you’re probably confused, wondering what an application is. Well, don’t you worry, because just about anyone who’s applied for a pet has been there or is there. And this guide is (hopefully) going to help you get past your application troubles and help you be the best applicant out there, and hopefully get that pet you’ve always dreamed of! First of all, an application (or app for short) can either be a neomail or petpage in which an applicant (you!) tries to show the owner, who will be choosing who will adopt their pet, that you are the best owner for this pet. An application takes a lot of time. No owner will choose someone who spends ten minutes on an app. In fact, a well-done app usually takes at least a month! You may have tried many times to apply for a pet and had it end in failure. You may have even read several guides, but to no avail. Think of this as the guide beyond the guide. Not only do I hope to help you with the basics of making a guide, but I also hope to help you learn many things I had to learn myself. First of all, you have to find a pet. Don’t go looking for a pet “just because you feel like applying”, or you want a trophy pet. 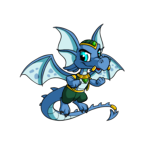 This pet should be a pet that catches your eye, that seems especially special to you! Otherwise, your application will have no meaning, and no owner wants to read that. You should have a good idea of what kind of character you want to give this pet and what you would do with it. Go to the owner’s page of rules of applying and READ THEM. If the owner can see that you have paid no attention to the rules, your app will most probably be tossed aside, and all the time you spent on it will have gone to waste. Make sure that if your account is fewer than 4 months old that the owner will be willing to wait until it’s old enough to transfer the pet over to you if they choose you. -	Don’t lab the pet. This is a very obvious rule that you’ll often see. The owner will mention whether or not it’s okay to change the gender, and may even change it for you (but if this is okay and this is what you plan to do, make sure you mention this at the beginning of the app so they don’t get confused with the pet’s character!). They may even let you paint it, if the pet is a basic LE pet. They will mention all this in their rules. -	Don’t use chat speak. You don’t have to be completely formal, but owners often hate to read “OMG i lyke ur pet sooooo much!1!!!! !” Usually a bad idea. -	The owner may toss in a few words or sentences to mention in your app just to check that you read the rules, but this is pretty uncommon. Most importantly, this is your chance to check the due date of your app. If there is a very good reason for why you would need an extension, let the owner know, and they will hopefully understand. Some won’t, though. Some owners also like to know if you’re applying or not, so they can keep track. If they do, send them a neomail to the account they give you (sometimes it won’t be their main account). Don’t bother the owner. They probably have a lot of neomails and users to deal with. I find that neomailing the owners doesn’t often get you on their good side, unless they mention that they want to get to know their applicants through neomail. Otherwise, they’re very happy with just seeing what you have to say about yourself in your app. But we’ll get to that later. Of course, this is different for neomail apps, in which you just send the whole (short) app as a neomail to the owner. As I haven’t written a neomail app before, I can’t really help you with writing one, but I will show you how to make a petpage app from here on, which is generally the most common form of application (though there is nothing wrong with a neomail app! Don’t be scared to try it. The owner will hopefully have equal judgement between the two). Now on to the making of the app!!! This is a very important part of your application. This is where you show your creativity, and how it could be used towards this pet if you are chosen to adopt it. Owners look for very creative characters. You want to aim for something that can be original as you can be. When you look at this pet, what do you think of? Do you have multiple ideas, or one amazing one that you just have to use? Or do you not know where to start? Character designing is important but often very hard. It’s difficult to come up with a creative character. -	Where do you see this pet living? In a cave, a river, maybe it lives somewhere else each day? -	Does it fulfill some kind of task in the place it lives? Does it have hobbies? -	What is its personality? Is the pet generally friendly? Keep making questions like these for yourself. See what comes up! Personality can be the most difficult. A pet’s personality shouldn’t be like the dwarves from Snow White- Sleepy is sleepy, Grumpy is grumpy. No one is a particular character trait all the time. Think of people you know and try to describe them. You wouldn’t describe one friend as happy. Surely they get angry sometimes. Try to give the pet an interesting and creative personality. How do they react to different situations? Create a character, and make a section in which you describe it in your app. You can even include a picture with a design for how the pet looks (also known as a reference picture). 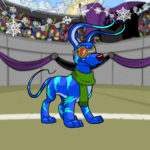 Does this pet have stripes on its ears or a ribbon on its tail? Or does it have three tails? Describe or show what you think your character will look like (this will also help if you hope to collect custom adoptables or fan art later on). For example, my Green Shoyru may be green, but it has different coloured markings all over its body in its design. In my opinion, a reference picture is a nice addition to an application. So now that you have a character, you can leave it at that or continue to add a story, poem, song, or any way you like to express your creativity (this is recommended! You want to show the owner as much originality, creativity and effort as possible!). A story is usually a good way to show how this character reacts in different situations, and also helps tell the reader about the pet’s background. -	Don’t make a character according to its colour. The most common examples of this are depressed Grey pets or spoiled, obnoxious/ sweet and perfect Royal pets. It gets old, and fast. -	Giving your pet special powers or possessions is only good if you can think of something EXTREMELY original. -	Dead parents or siblings. Just because you’re adopting this pet doesn’t mean it has to be an orphan. It doesn’t need to have gone through some kind of tragedy either. This is a difficult part of writing an app. Just keep at it, and hopefully an amazing character will come to mind!! As I said, you don’t have to include a story, but it’s usually a nice addition. It can be short or long. This is your chance to show the owner/reader what your character is all about! If a story isn’t your thing, don’t write one just because you feel the need to. Try a poem, song, or even a comic. This is also a very important part of the application. Here you tell the owner about yourself. Usually, it’s best to keep this section short and sweet. Tell the owner a bit about your Neopets “family”, how long you’ve been playing, any side accounts you may have, a brief summary of what you like to do on/offline, and if (be honest) you’ve had any of your previous accounts frozen. Tell the owner why it is that you chose to apply for this pet. Did its name catch your eye or remind you of an old friend? What kind of importance does it have to you? There should be a good reason for why you’re putting so much effort into trying to get this pet. “I’ve just always loved –insert paint brush colour here- pets” or “It’s my dreamie!” are not very legitimate reasons. Now tell them what you plan to do with this pet if you were to adopt it. Would you enter it in the Beauty Contest? Would you customize it? Or would you just work on their petpage and have their story continue, or even have diary entries of the pet? Would you do roleplaying? Make sure you back up your plans with proof. The owner will probably take a look at your account. If you tell them you plan to enter this pet to the Beauty Contest and they don’t see any trophies or previous entries, they probably won’t believe you. If they see that you haven’t been feeding or caring for your other pets, they won’t be too likely to choose you to take care of this one. You can even go as far as doing some of these things ahead of time, before the owner even chooses someone to adopt this pet. If you want to make them a petpage, you can go ahead and make one and post it on one of your pet’s pages. If you want to customize the pet, buy the clothes and put them in your gallery so they can see that you are truly dedicated and that you will do what you say you will. Though not necessary, art adds a lot of aesthetic appeal to your app. It also shows your creativity and often effort put into the app. Use pieces of art to divide up blocks of text to make it nicer to look at, or make headers to divide up sections of the application. You can even illustrate your story if you have one. As well, a lot of people like to add adoptables (small pictures that can be customized to other people’s requests, usually the pet’s species) so you can make some for others as well as collect pictures of your pet. This is usually nice, but I wouldn’t recommend spending all your time trading art with others. Do this if you want, and only if you have time. You can also do art trades without making adoptables, or if you plan to make adoptables, set up a section in your app for them so the owner knows you hope to do so if you adopt the pet. If you want, and you have time, you can make a small picture or patch with a link so visitors of your application can link back to your page if they want to. I wouldn’t recommend copy and pasting Neopets pictures all over your app. Art, if you enjoy it, is a great way to show the owner your creativity. If you like other forms of art, such as sculpting or origami or something like that, it’s nice to include these somehow in your app as well. Try to work the best you can with your talents! If you don’t know very much about HTML, I would recommend looking for some of the amazing guides out there and trying to learn it. I learned almost all the HTML and CSS I know because I wanted to learn how to make a nice looking application. Give it a try- it’s a useful “skill” to learn and your application could end up looking very nice. If you really don’t feel that it’s your thing, use a premade page as long as it’s all right with the owner. If you do know HTML, I would recommend adding navigation to the page so it’s easy for the reader to get around. Try to stick with a colour scheme throughout that looks nice and suits the theme of your character or its story, or even just its colours. You’re done with your application and you still have a week left before it’s due! But not quite! Nope. You still have to check it over. Did you make any spelling mistakes? Is there a section you forgot to add? Make sure that the Neopets HTML filter accepts your HTML coding (I’ve had times when I tried to enter it and there were a lot of things the filter would not accept)! Now that your app is up and running, I would suggest going over to the Pound Chat in the Boards. There you can usually find an “App Chat” where other applicants will be chatting! Read the first post, and if the chatters there are willing to, ask if they can critique your app, or if you need any other help, that’s the place to go. App chatters will usually be happy to help! Now it’s time to hand in your app! But don’t neomail the page any old boring way! Maybe make a poem or rhyme that leads the owner there, or have one of your pets “deliver it”. Now you just have to wait patiently. It can take between a few days to a few months for the owner to announce who they’ve chosen. Don’t pester them. Be patient! Hopefully, it’ll be you they’ve chosen! If not, don’t give up! You’re bound to find your dream pet UFA again, and you can apply again. Just be proud of yourself and give yourself a pat on the back. Applying for your dream pet takes a lot of effort, and you should be proud!